Warm your hands or store small items in the dual front kangaroo pockets. Features Natural drawstring and zipper tape. 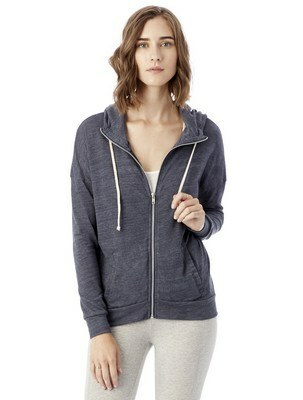 This Cool Down Eco-Jersey Zip Hoodie are perfect choice for a laid-back, layered look. It’s made of 50% Polyester, 38% Cotton, 12% Rayon. 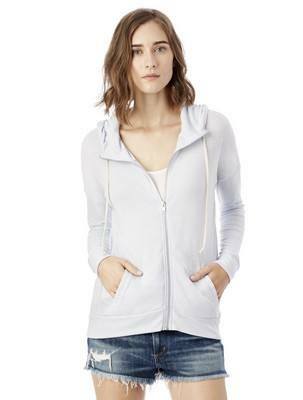 Features Natural drawstring and fully zipper tape. Available in a variety of colors, making this a great work, weekend or team shirt. Add your company name and logo to create a marketing tool that everyone will want to get their hands on.